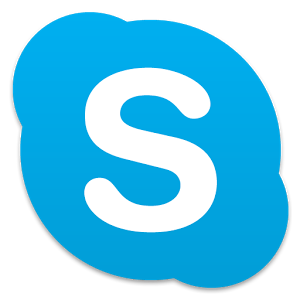 A small update to Skype today (version 5.10) adds two new features to the app, in the form of custom ringtones and a sort of in-app photo "forwarding" feature. Custom ringtones can now be accessed by tapping in the lower-right area of a conversation and selecting "ringtone options," where you'll now find an entry to add a custom ringtone for a given contact. Skype should detect all of your phone's installed ringtones. As to the photo forwarding, it's actually a pretty handy feature. Have you ever received or sent a photo to someone, only to then think "you know, I should send this to [X], too" and find yourself slightly annoyed at the thought of having to go through the full sharing process a second time, or download a received photo and then go through the sharing process? Skype's new contextually-aware photo forwarding should make that easier, assuming you're planning on sharing it in another Skype convo. Just tap and hold on any photo in a Skype conversation and an option to "forward photo" should appear, at which point you can send the photo to any of your Skype contacts. Handy. You can get the update on the Play Store now, though the release may be rolling out in stages.